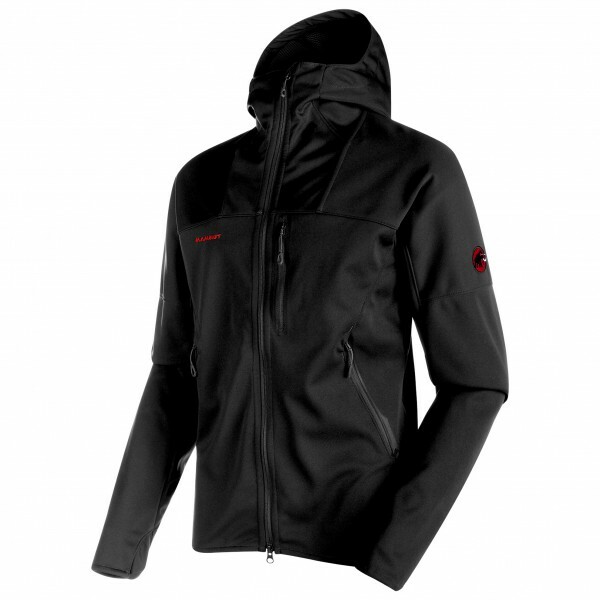 One of Mammut's finest: the Ultimate Hoody Softshell is a high-end and reliable softshell jacket. It's durable, equipped with smart features and is therefore perfect for multi-day tours, mountain hikes and classic mountaineering! 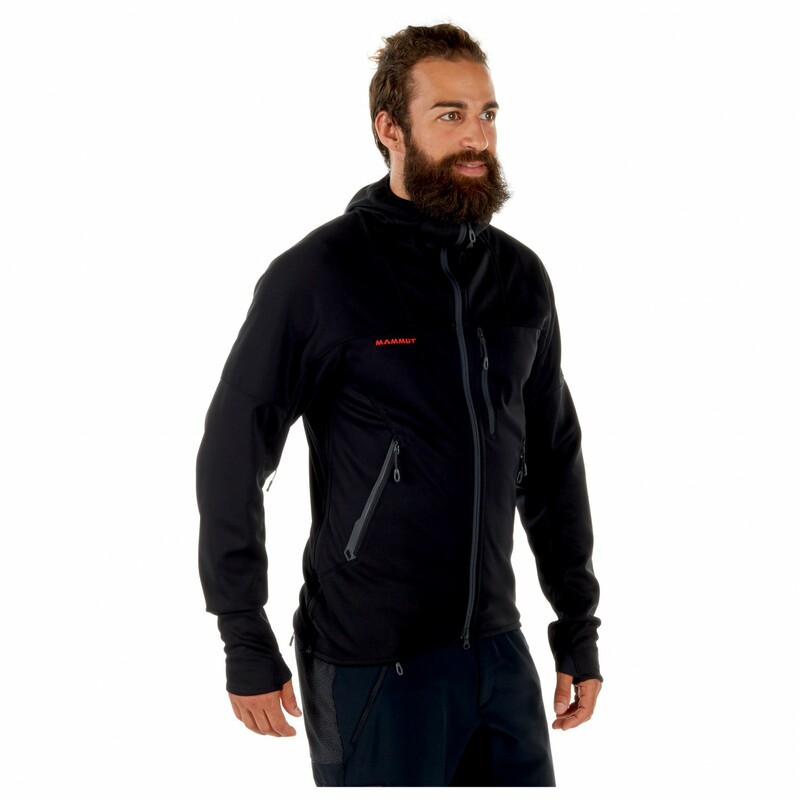 For the material Mammut has used a robust Gore Windstopper softshell fabric in a three-layer design. It's not only absolutely windproof but also highly breathable. It's heavily water-repellent at the same time, that's why the softshell jacket can be worn either as a midlayer or as a top layer. 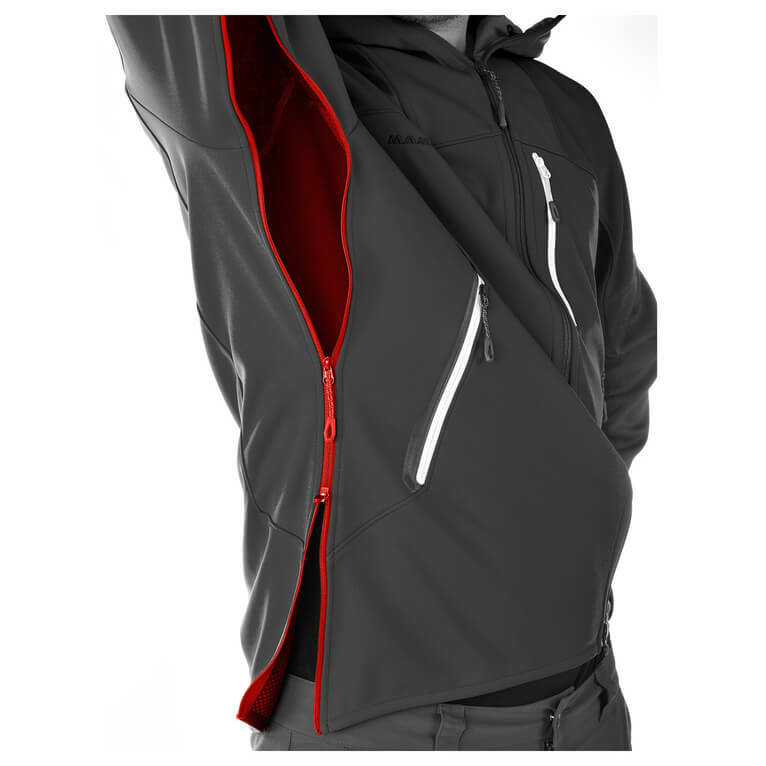 Since the Ultimate Hoodie Softshell was designed for use in rough conditions with strong wind, all drawstrings are placed on the inside. 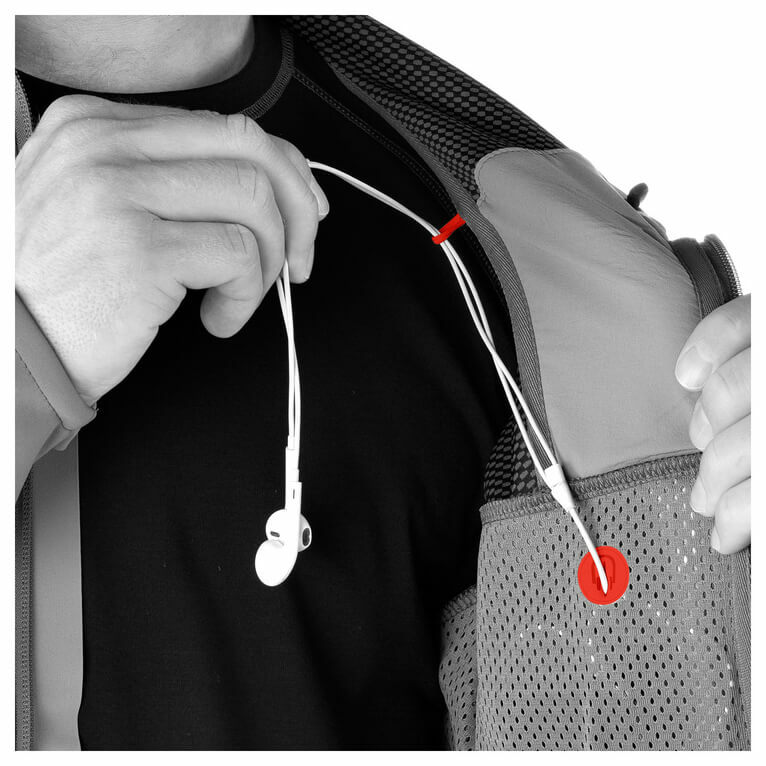 That way, they can't be targeted and yet you can easily use them to adjust the jacket. 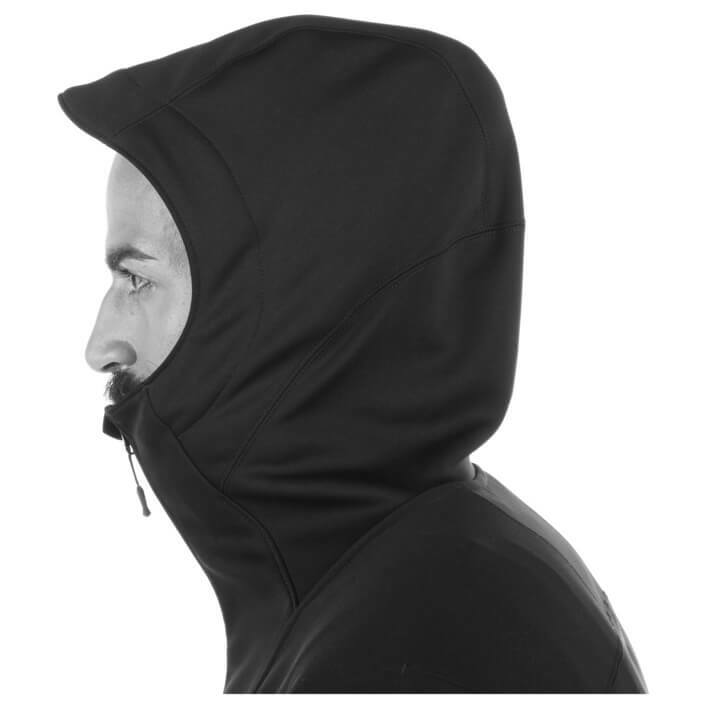 The fully adjustable hood can be optimized perfectly and leaves you with a great field of view on the surroundings. 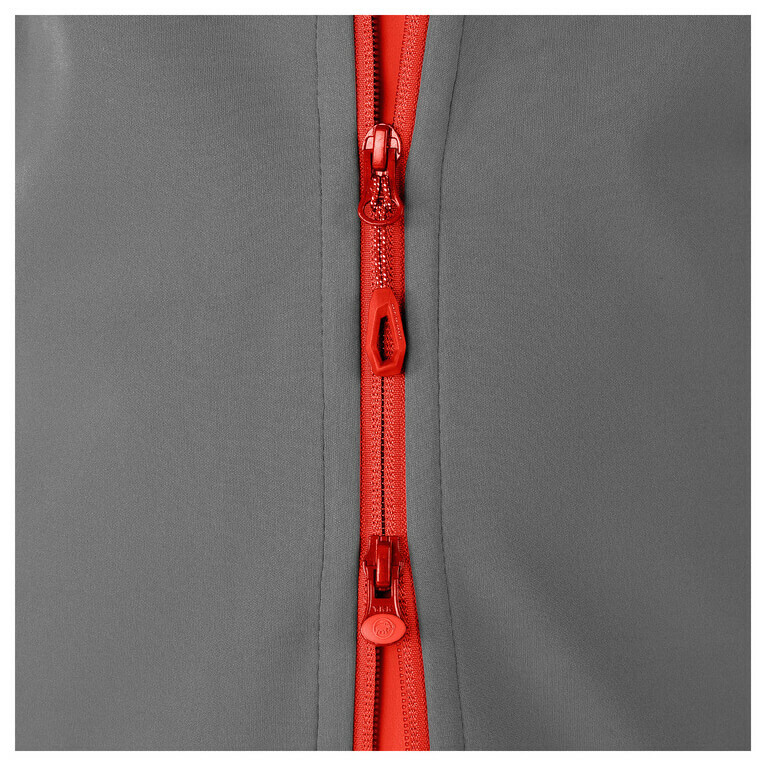 In order to prevent any wind from entering through the zip, Mammut equipped it with a bonded wind shield. Good thinking! 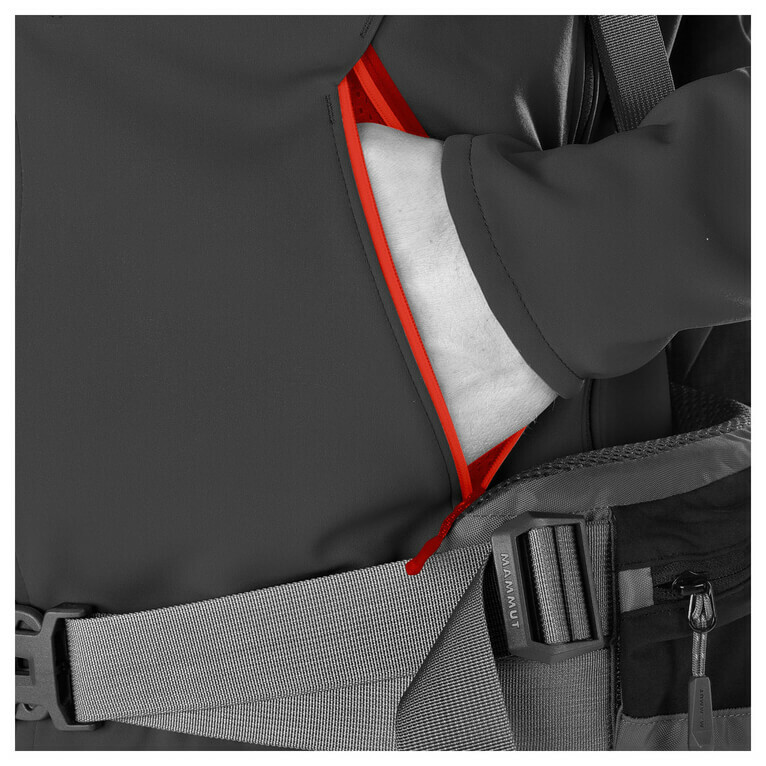 While climbing on a rock or in steep ice the sleeves stay in place and don't slide up. 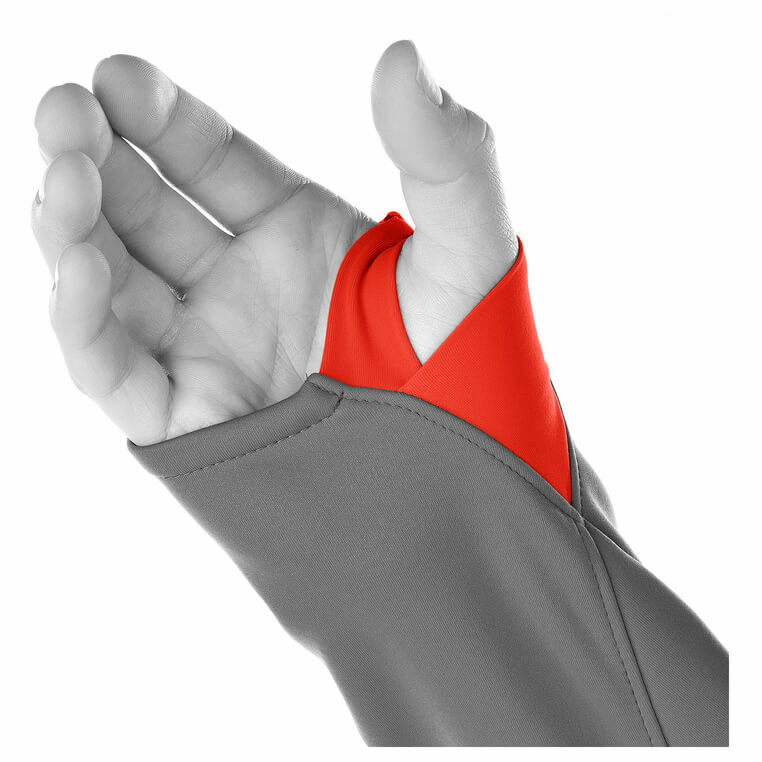 This is because they are equipped with practical, tightly sealing thumb loops. 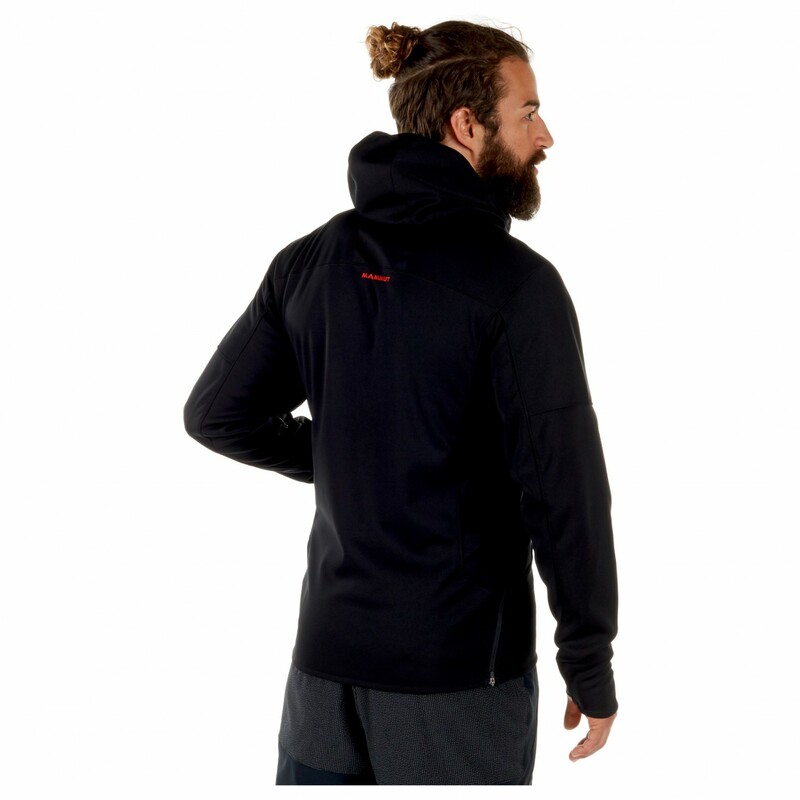 Well-designed and smart: The Mammut Ultimate Hoodie Softshell is a premium softshell jacket!